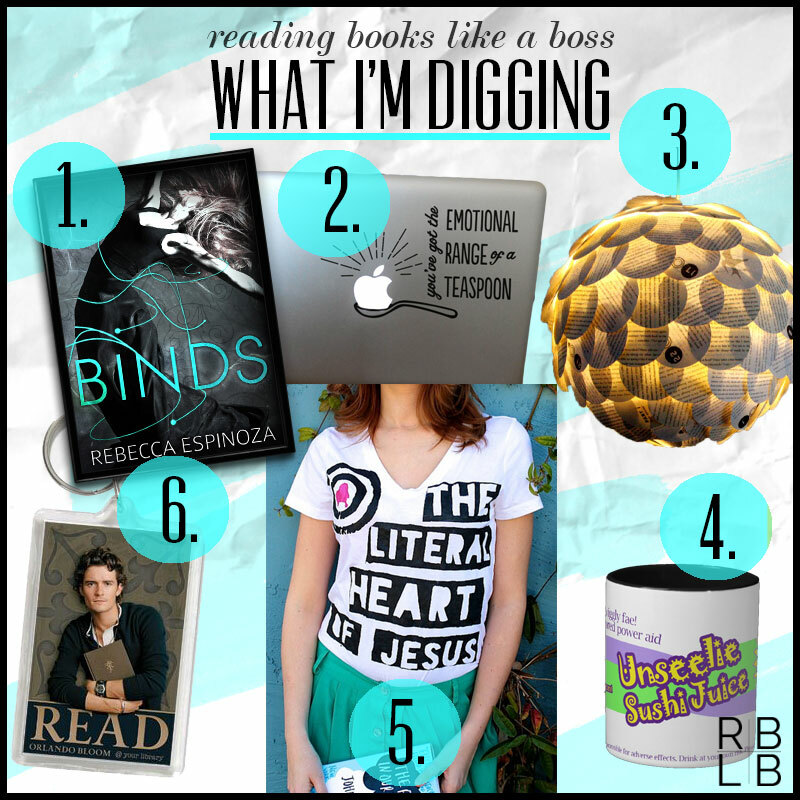 Binds is Rebecca Espinoza’s debut novel and I LOVED LOVED it! It’s an urban fantasy novel about a woman named Ophelia who is married to a politician and is later taken by an underground group planning on government takedown. The people who take her are….different. I want everyone to read it! This was one of my favorite Harry Potter lines. This decal says, “…you have the emotional range of a teaspoon.” Oh Ron! I outted myself on Facebook last week when I admitted that I hadn’t read The Hunger Games series. I want to, I just haven’t. But even though I haven’t read it, I STILL WANT THIS LAMP! It features pages from the series! How cool!! If you don’t know what Unseelie Sushi Juice is, then you need to go right here and one-click that shiz. The mug is the prefect mug for Fever series fans. Mmmmmm juice. I know, I know more The Fault in Our Stars stuff. But I LOVE this shirt and this book! I couldn’t not put this on a Digging post. I mean, it’s Orlando Bloom. And he’s on a book-related keychain (They have this on a poster and a bookmark too). When he’s not getting in fights with Justin Bieber, he’s reading a book, man! Get it! The ALA also has Kiera Knightley stuff. Haha!